A luxurious indulgence in undisguised femininity. Tastefully lavish and equal parts delicate, daring and completely disarming. Because elegance is the only beauty that never fades… Look at the stunning luxury eid Collection 2018 of Sana Safinaz chiffon dresses for modern girls and women as well. Biscuit base and dull gold sequence embroidered front on poly net with a bold floral pattern in peach and orange. A eid special dresses delicate geometric design in sequence embroidered on back with heavily embroidered sleeves and a fully embroidered floral running border on a 100% pure chiffon dupatta with a plain shalwar and slip. Ultra feminine floral resham embroidery new Pakistani dresses for eid with sequence in shades of pink on a soft pink organza with an additional fully sequenced side kali, sequenced back and sleeves. Paired with a soft pink dupatta with all-over pearl embellishment and a plain shalwar and slip. 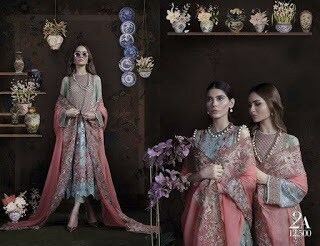 Ethnic floral resham embroidery in pinks and gold on a mint green cotton net kameez with gold tilla embroidery and a full gold tilla embroidered back and sleeves with an additional cord embroidered border. Paired with a mint dupatta with separate heavy resham floral embroidered pallu detailing, plain pants and slip. Ethnic floral resham embroidery in shades of orange and silver on an ice-blue cotton net kameez with silver tilla embroidery and a full silver tilla embroidered back and sleeves with an additional cord embroidered border. 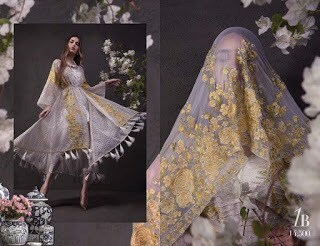 Sana Safinaz dresses for eid new designs paired with an ice-blue dupatta with separate heavy resham floral embroidered pallu detailing, plain pants and slip. Ultra feminine floral resham embroidery with sequence in shades of lavender on a soft lavender organza with an additional fully sequenced side kali, sequenced back and sleeves. 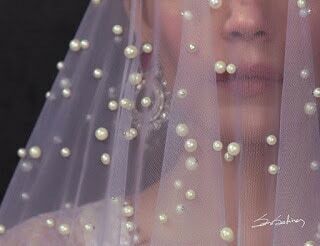 Paired with a soft lavender dupatta with all-over pearl embellishment and a plain shalwar and slip. Resham embroidery and mint green sequence in a peach floral pattern on ferozi polynet with an additional embroidered side kali, fully embroidered back and heavily embroidered sleeves. 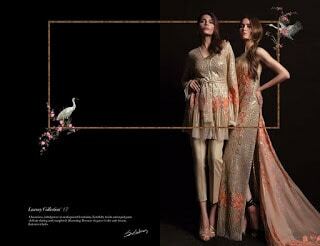 Paired with a peach dupatta with an embroidered floral running border and plain shalwar and slip. A mix of resham embroidery and white sequence in a ferozi floral pattern on white polynet with an additional embroidered side kali, fully embroidered back and heavily embroidered sleeves. 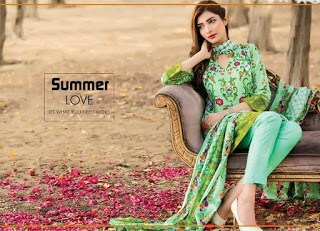 Paired with a ferozi dupatta with an embroidered floral running border and plain shalwar and slip. White on white sequence embroidered front on poly net with a bold floral pattern in yellow and lime. A delicate geometric design in sequence embroidered on back with heavily embroidered sleeves and a fully embroidered floral running border on a 100% pure chiffon dupatta with a plain shalwar and slip.